_The Theme Browser has been improved dramatically. You can manage and activate your themes easily and with one click. _Download new themes from your admin. 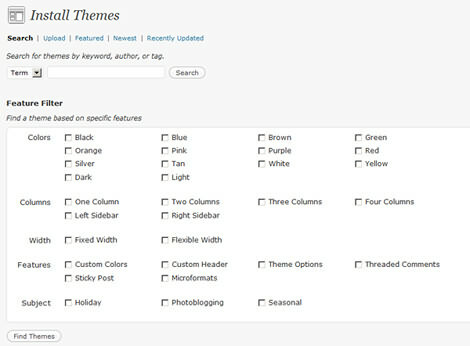 You can search for new themes and download themes directly from your WordPress dashboard. _You can control and manage your tags. You can change the Tag name, Tag slug and add description for your tags. _The widget section has been improved. If you have more than one sidebar, all of them are visible at once and you can drag and drop the required widgets right inside each sidebar.